A peer-reviewed quarterly journal, which does not charge a publication fee. 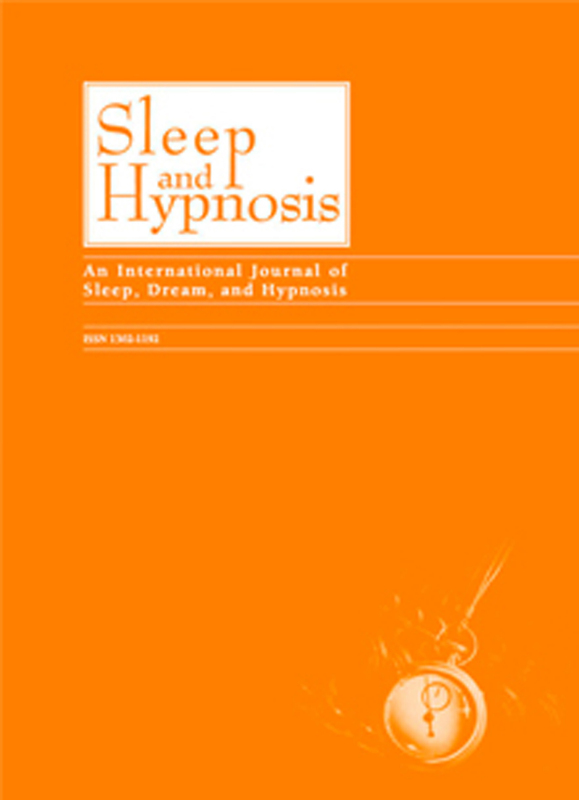 Scope: Topics of interest of the journal contain but are not limited to sleep, dreaming, chronobiology, and hypnotherapy. The journal also has a specific interest in articles on theory, assessment and treatment related to trauma and stressor-related disorders. Online ahead of print: After acceptance, the article is immediately published as Advance Online Publication with a DOI number. This online ahead of print publication can be cited. Indexing: CINAHL, ClinPSYC, Current Awareness in Biological Sciences, Ebsco Academic Search Complete, Ebsco Academic Search Ultimate, Ebsco STM Source, ELSEVIER GEO ABSTRACTS, Embase, Excerpta Medica, Google Scholar, Health & Medical Collection, Health Research Premium Collection, Nursing and Allied Health Database, ProQuest, ProQuest Central, ProQuest Central Essentials, ProQuest Central K-12, ProQuest Pharma Collection, ProQuest Psychology Database, ProQuest Turkey Database, Psychological Abstracts, PsycINFO, PsycLIT, SCOPUS.